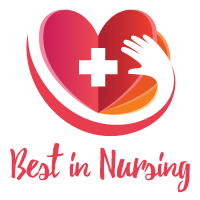 The American Health Council appoints Kristin Bouman, RN, BSN, CCRN, CPR, NRS, STABLE to its Nursing Board for her outstanding contributions to the nursing field. Currently serving as a bedside nurse at Spectrum Health Helen DeVos Children’s Hospital in Zeeland, Mich., Ms. Bouman ensures that her patients receive high-quality care through her tireless efforts. While she has maintained her current role for over year, she contributes excellent expertise in advocacy, critical thinking and nursing, skills she has garnered during her 10-year time as an RN in the healthcare industry with the majority of her career being spent in the Pediatric Critical Care Unit. As a child, Ms. Bouman was often diagnosed with several health ailments. The experiences led her to pursue a career in the healthcare industry, and aimed specifically to advocate for children and their families. She realized that she could help a number of people by pursuing the nursing field and immediately enrolled at Calvin College in Grand Rapids, Mich. She earned a Bachelor of Science in Nursing degree in 2007 and earned a critical care nurse practitioner and cardiopulmonary resuscitation certification. She enrolled in a S.T.A.B.L.E. certification training course, a neonatal education program that focuses on the post-resuscitation and pre-transportation of an infant through exclusive training in sugar, temperature, airway, blood pressure, lab work and emotional support. At Spectrum Health Helen DeVos Children’s Hospital, Ms. Bouman works in both the pediatric and neonatal intensive care units and supports families through stressful and emotional times. She assesses and reviews lab work, administers medications and sedation. Each patient she treats receives the highest level of patient care, as she always puts her patients’ needs first. She is proud of the reputation she has built among her patients during her time at the facility. Her career continues to prosper, in large part, due to a strong support system and her passion and mission to help others. To continue to foster an educational intrigue, Ms. Bouman is a member of the American Association of Critical-Care Nurses, a nonprofit association that is composed of acute and critical care nurses who offer professional and personal support in pursuit of the best possible patient care, according to the organization’s website. She is also a member of the Evergreen Ministries and supports the Children’s HopeChest and Food for the Hungry. She plans to continue to seek education in order to maintain her training up-to-date to ultimately enable her to positively impact more lives. Helen DeVos Children’s Hospital is committed to providing high-quality, safe health care to children at all hours. Its child and family-focused medical care include inpatient care in Grand Rapids and outpatient care in clinics throughout Michigan. The hospital offers expert care from more than 300 pediatric providers, in more than 50 services and programs that always focus on your child’s health.